Historically, Medicaid eligibility has generally been limited to certain low-income children, pregnant women, parents of dependent children, the elderly, and individuals with disabilities; however, as of January 1, 2014, states have the option to extend Medicaid coverage to most nonelderly, low-income individuals. The Patient Protection and Affordable Care Act established 133% of the federal poverty level (FPL) as the new mandatory minimum Medicaid income eligibility level for most nonelderly individuals. 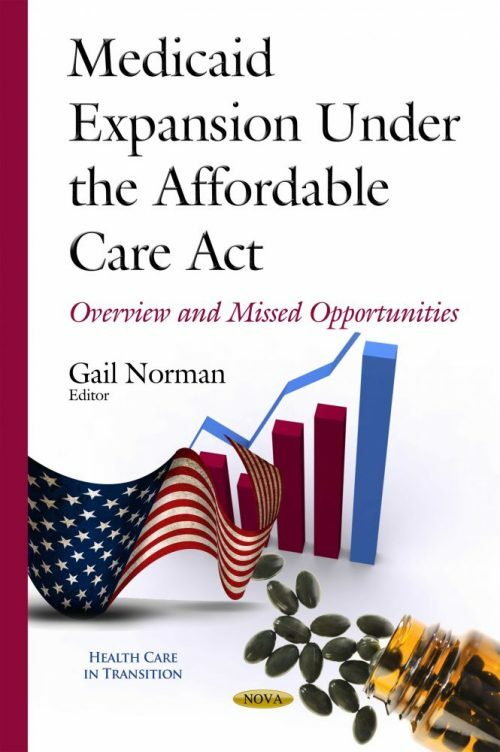 This book provides an overview of the ACA Medicaid expansion, and the impact of the Supreme Court decision on the ACA Medicaid expansion. Then, the book describes who is covered under the expansion, the expansion rules, and how the expansion is financed. In addition, enrollment and expenditure estimates for the ACA Medicaid expansion are provided. The book reviews state decisions whether or not to implement the ACA Medicaid expansion, and the implications of those decisions on certain individuals, employers, and hospitals.